Day 7 of the October Nail Challenge, and the prompt is Free Hand. 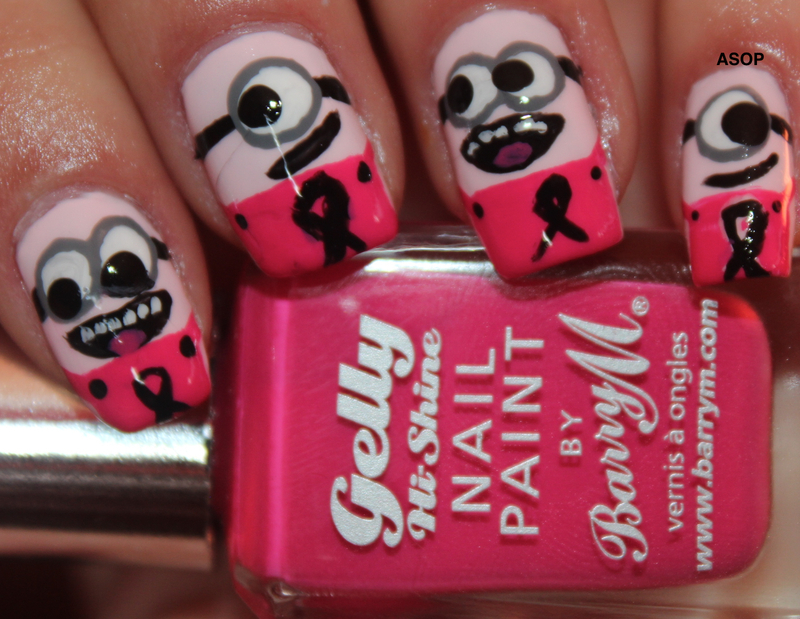 I thought I'd incorporate these with October's Cancer Awareness! Sorry about the delay in posting, I've been super busy these last couple of days and not had time to type up the post! 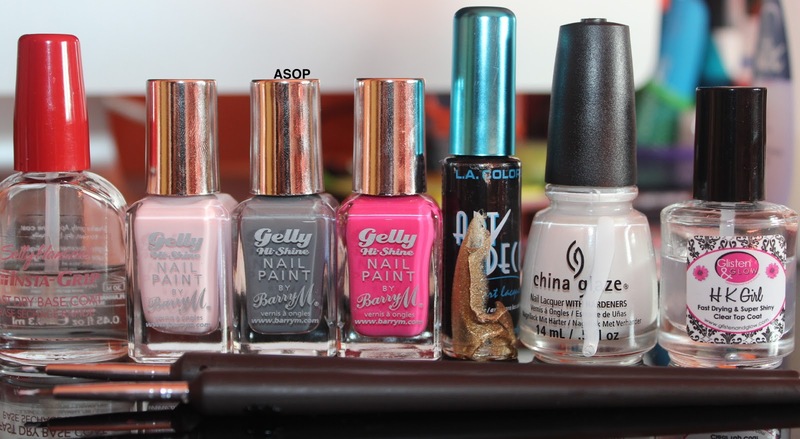 I started with a base of Barry M Gelly Hi-Shine 'Rose Hip', one of the spring releases. It's a very pale pink, that is more like a very slightly tinged creamy colour. I applied two coats for full opacity and it dried really quickly! 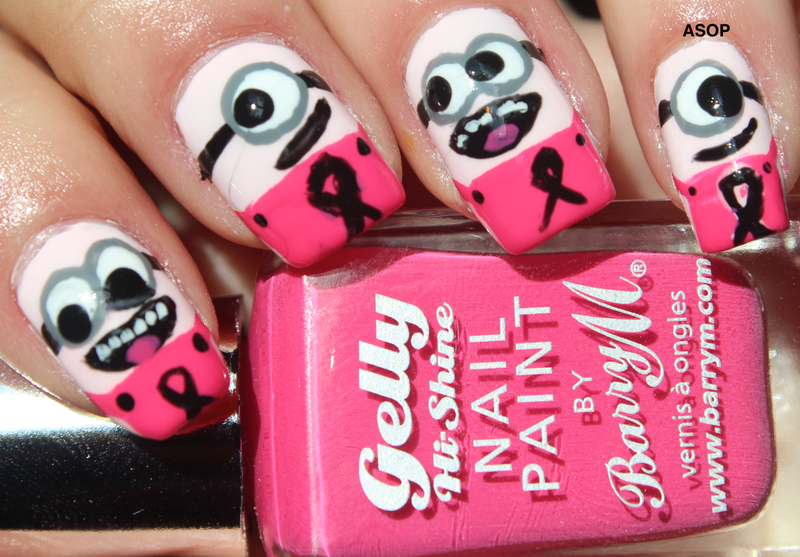 I then used a number of other items to create some pink minions, I've seen these spreading round the nail community before and thought they were adorable. 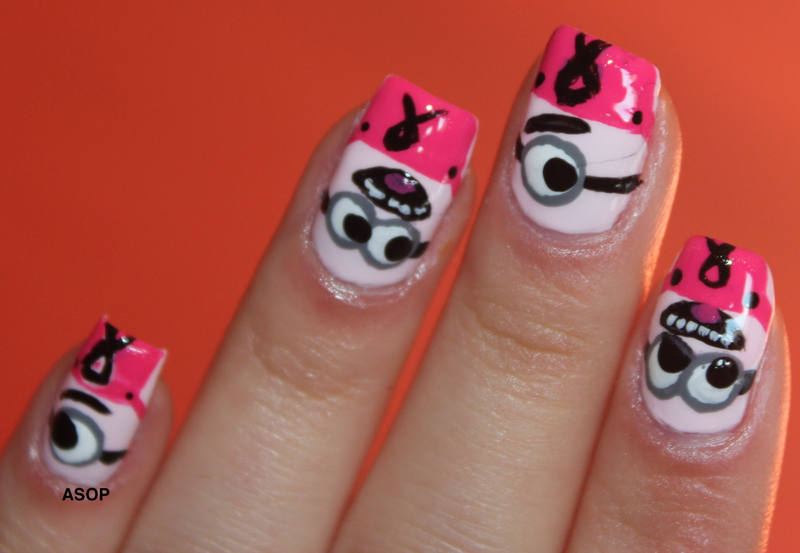 I only had about half an hour to get these done and photographed, so they're kind of a mess, but hey ho-still cute. 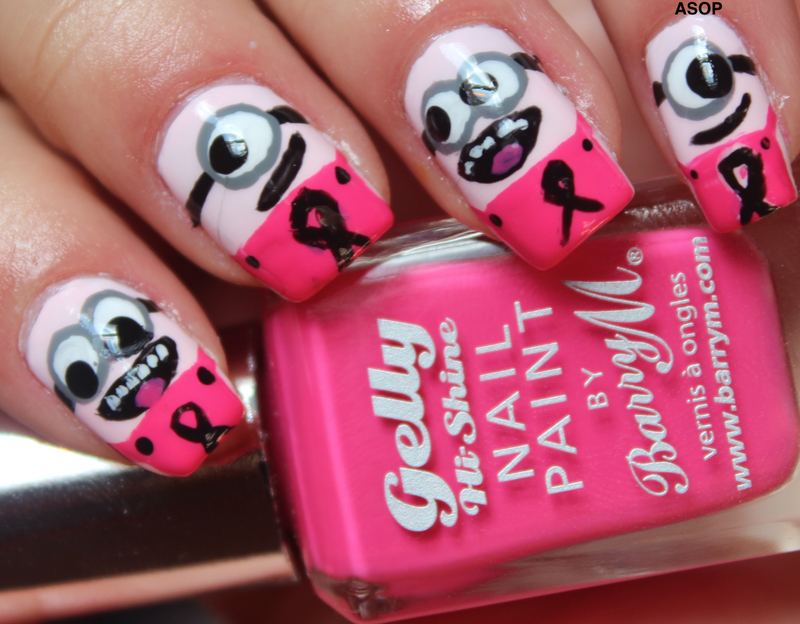 They have the general cancer logo, as October is Breast Cancer Awareness Month!